Description: In the article target`s spatial coordinate measuring algorithm in multisite (multistatic) radar systems (MSRSs) consisting of MIMO radars are proposed. Main features of this method are taking into account spatial correlation of target`s “primary coordinates” estimates and use of measurement selection functions on each base. This allows, when using two-stage coordinate measuring algorithms, partially compensate systematic errors, specified by coordinate surfaces linearization, and select “primary coordinates” estimates, that provide highest total accuracy for given MSRS configuration and state vector of target. Statistical modeling results are demonstrated, that confirm efficiency of proposed algorithm. 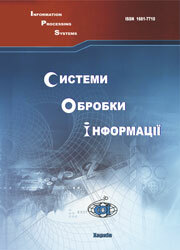 Dudush, A.S. (2013), “Opredelenie prostranstvennykh koordinat tselei v mnogopozitsionnykh radiolokatsionnykh sistemakh na osnove MIMO RLS”, Information Processing Systems, Vol. 5(112), pp. 29-33.